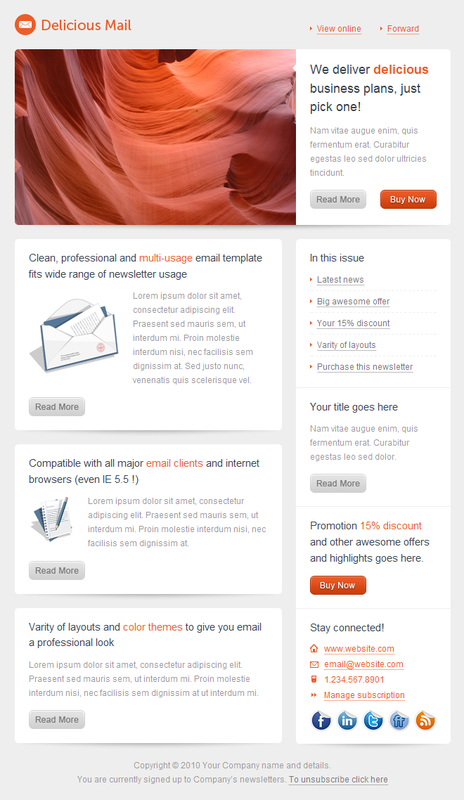 110 HTML newsletter pages (5 color themes, 2 background versions of each color, each version contains 11 layouts). User friendly documentation covers editing the layouts, sending the newsletter, using it in Mailchimp, and useful tips. You can copy/paste content blocks (tables) from layout to another. You can delete/duplicate any content block (table). You can copy/paste content blocks (tables) from any layout in Delicious Mail to Delicious Mail 2. 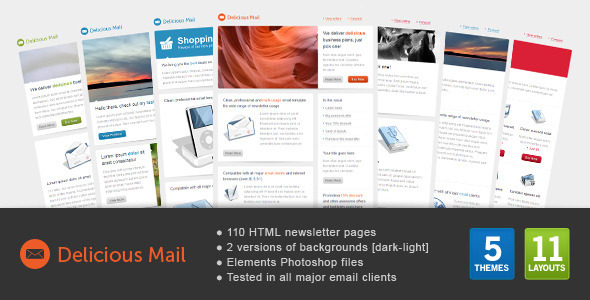 Delicious Mail template is compatible with all major email clients, it’s coded with attention to different email clients rendering compatibilities. Renders perfectly on email clients and browsers starting from old browsers such as Internet explorer 5.5 till new email programs like Outlook 2010 and Mozilla Thunderbird 12. 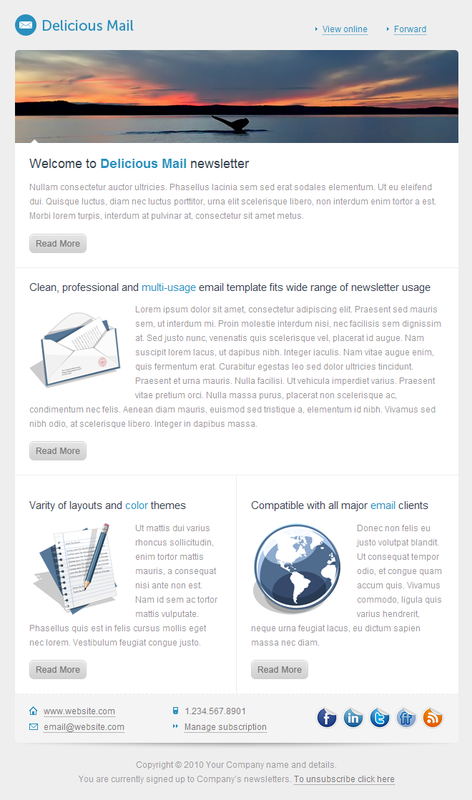 Delicious Mail is designed in the same color themes and dimensions as Delicious Mail 2 so you can safely mix the layout elements between both of them. You can expand your campaign with the matching landing page Delicious Landing. Pictures by: Frank Kovalchek, katmystiry, Matthew Hull, richard_b, and tarr101. Icons by: Everaldo Coelho and DryIcons. Version 1.1: removed duplicated “valign” attribute in the pricing tables [layouts 6 – 7].